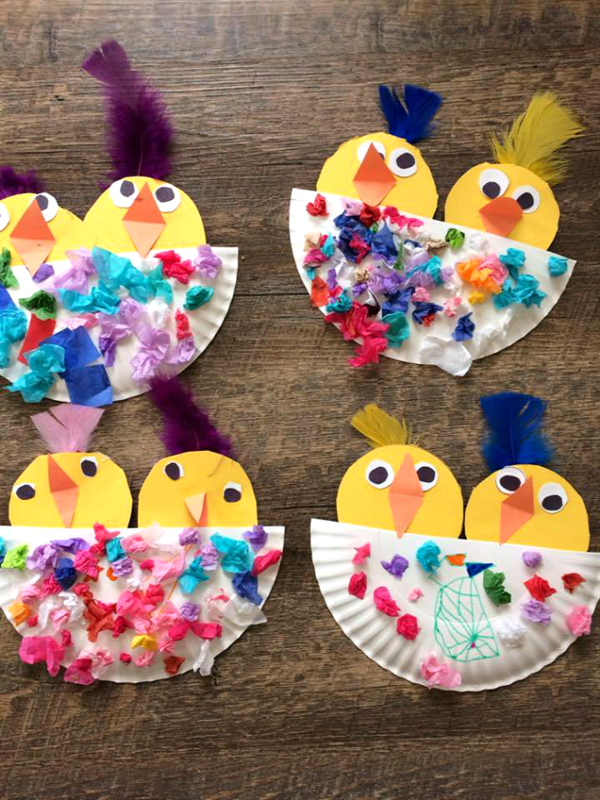 These adorable chicks were made by Becky Taszarek’s daycare kids! 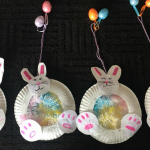 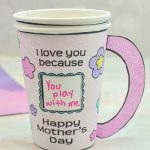 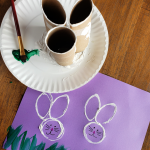 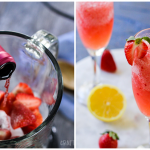 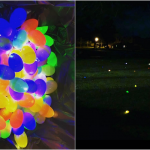 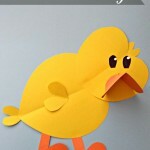 These would be so fun to make for Spring or an Easter craft! 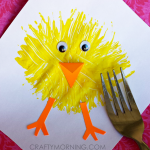 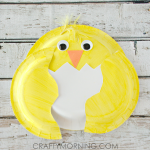 Cut a paper plate in half then have the kids cut out two yellow paper chicks. 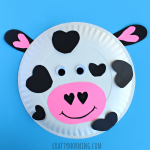 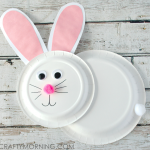 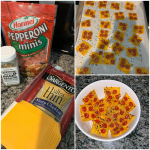 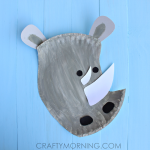 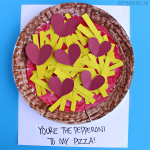 Cut small pieces of tissue paper and have the kids scrunch them up and glue them all over the plate. 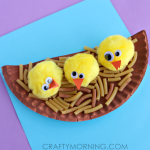 Decorate your chicks with a beak, eye, and feathers!